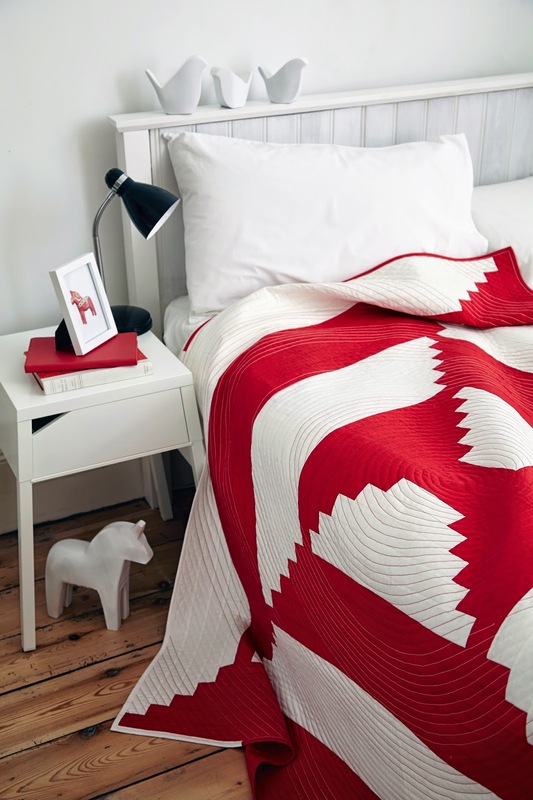 For issue 16 of Love Patchwork & Quilting I made three red and white projects; a courthouse step quilt, a half log-cabin cushion and a mini log-cabin pincushion. The log-cabin quilt block is a wonderful pattern with almost infinite possibilities and the projects I have made are only a few examples. Red and white together are always spectacular because of the crisp contrast. 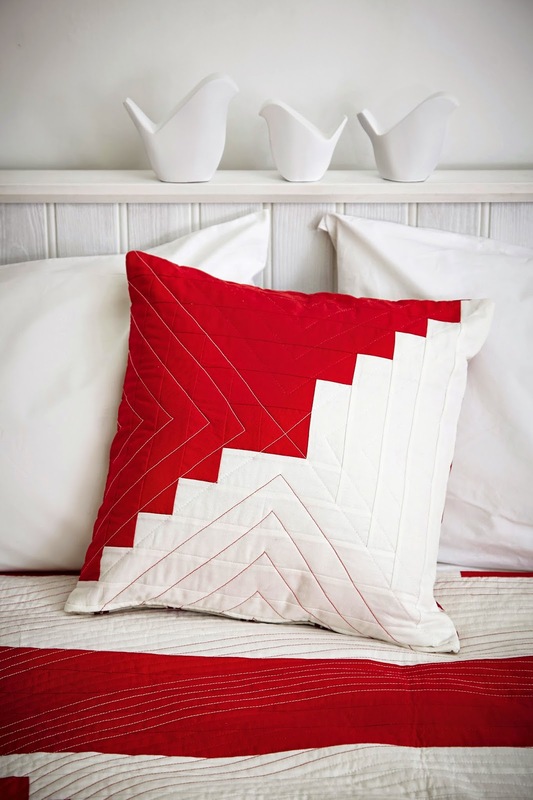 I quilted in red and white thread in a continuous circle. 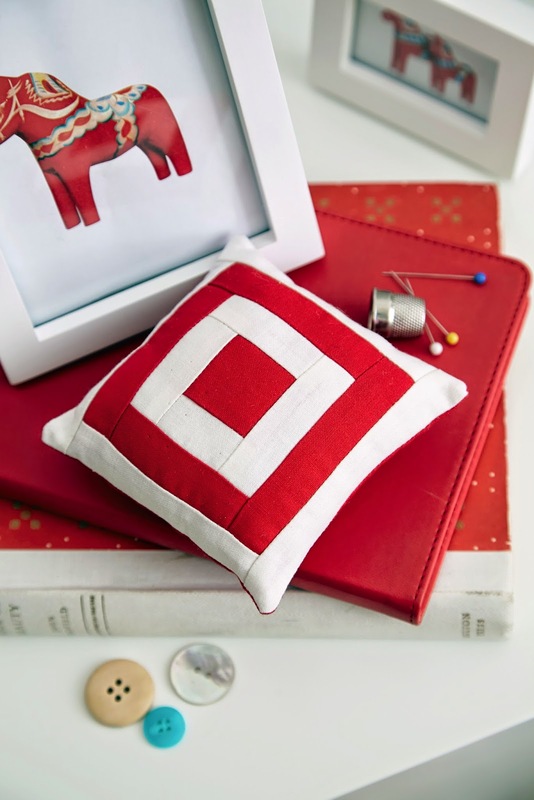 The cushion features a half log cabin block and is also quilted with two different thread colours and finally a pin cushion is the most popular log-cabin variation. 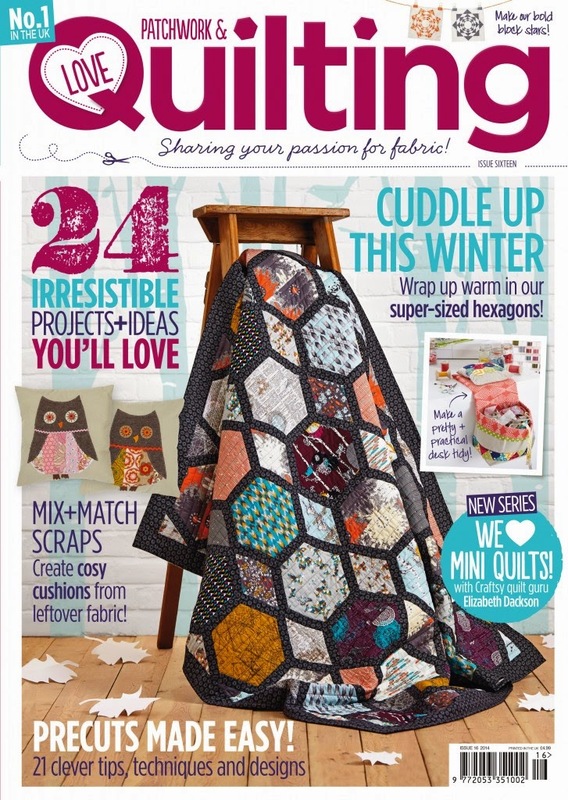 Other projects in this issue that I have caught my eye are Lynn's striking hexagon quilt that features the front page. I just love that she uses a really dark colour for sashing - blacks or almost blacks are not used enough in quilting. 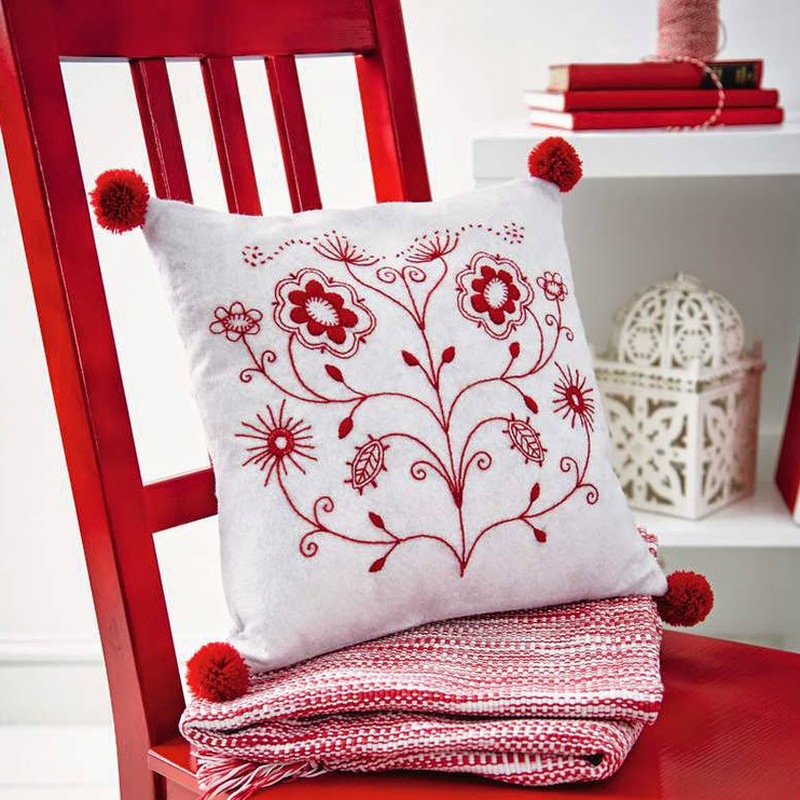 And another red and white project with a Scandinavian feel to it from Jo Avery which is just define and would work so well together with my quilt. 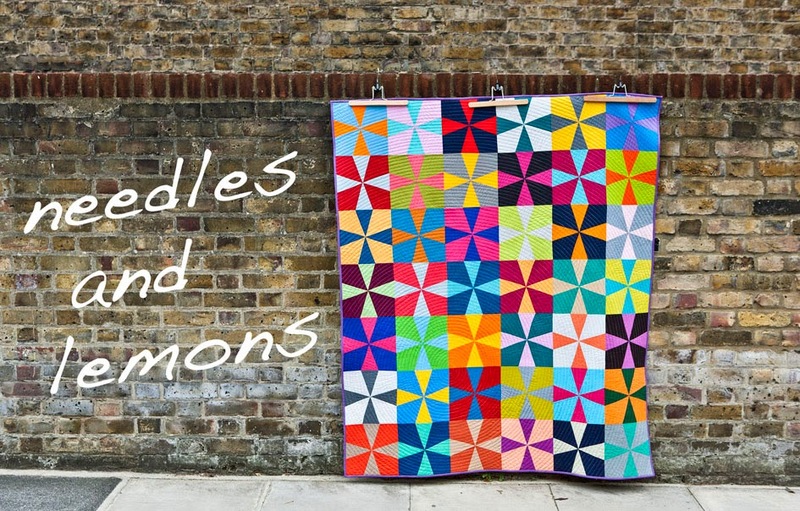 Your quilt is just stunning. Beautiful! Gorgeous!! I just adore the quilt and pillow, stunning!! !